Hello, we are Lauren Berg and Gabby Lusskin, and we are Senior level Girl Scouts of the Girls Scouts of Southeast Florida, Troop 12308, and members of the C-Teen chapter of Coral Springs, Florida. In Girl Scouts, we have community service projects called Journeys where girls connect with friends and other members of the community to make a difference in the world. The Journey that we chose is the Girltopia - It’s Your World, Change It. In this Journey, we envision an ideal world for girls and work to make that vision a reality. But more than that, we envision a world in which all people with special needs have equal chances in school, jobs, and social life. This starts with teaching others about how to properly interact and work with special needs individuals. Since we are also a part of C-Teen, we decided that we should involve our local chapter and Jewish aspects into our Journey project. In Judaism, individuals with special needs are seen as having very special souls, and they have a physical imperfection to balance out with the soul’s purity. In our presentation, we taught others to understand this aspect about people with special needs and how to comfortably talk to and work with people that have special needs. 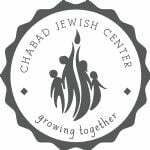 To involve the community in our Journey project, we lead a presentation educating our C-Teen chapter and their families about the Jewish perspective on people with special needs. In addition, we talked about several organizations that assist and provide services to children and adults. During our research we learned these organizations also offer several volunteering opportunities for members of the community. Please click here to view our presentation and these wonderful resources.